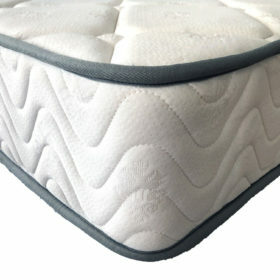 A pocket spring is an individual coil spring that is normally encased in a synthetic fabric casing then glued or stitched together to form a support unit for a mattress. 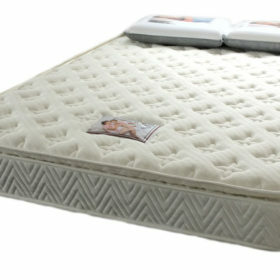 As each individual coil is independent of another this reduces any motion transfer when sleeping. Having individual coils enables coils to be arranged in zones of different densities, allowing areas of increased support where needed. 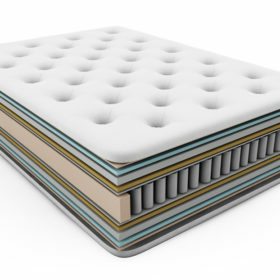 Generally pocket spring systems contain greater volumes of air which can pass through so sleep slightly cooler than all foam mattresses. We have a great article on sleeping cool right here. 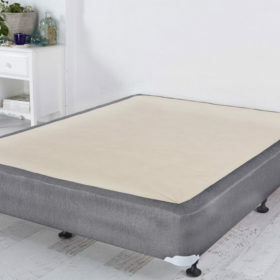 Why you shouldn’t buy a pocket spring mattress before reading this. There are now a wide variety of pocket springs on the market with varying gauges, sizes and arrangements. There are two predominant pocket spring systems in the Australian market and three other specialty systems that we will discuss. Standard spring unit either glued or sewed together. 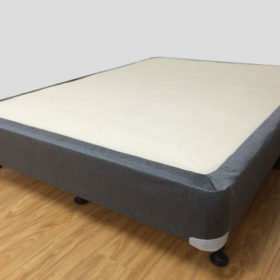 Offers breathability and responsiveness over all foam mattresses and better responsiveness vs normal bonnell spring units. 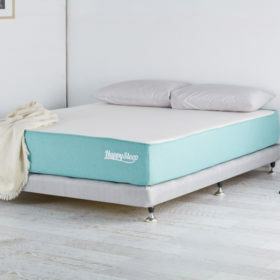 Used in most of our mattresses there pocket springs featured a thicker metal coil that has undergone a specialty heat treatment for better durability over traditional pocket springs. Spring units come in varying pressure zones for tailored sleeping. These offer a plusher initial feel and a firmer middle feel layer. These feature a smaller diameter firmer coil inside a larger medium pocket coil. These are significantly more time consuming to manufacturer and thus are only found in the upper end of support systems. 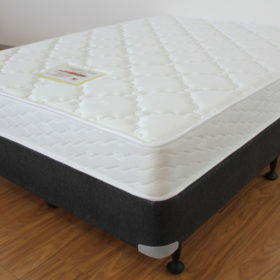 Used in softer or plusher mattresses to reduce incidences of body impressions and mattress settlement (a normal function of high loft mattresses). 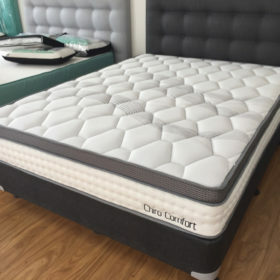 These mattresses feature another smaller softer coil system above the support coil system in the pillow top to provide comfort to the user. These systems have in the vicinity of 1500 to 2500 springs in the unit and are extremely heavy. The gaps normally found between the inner support springs are filled with smaller diameter coil springs to provide a much firmer support system. A very specialised system and rarely used due to the firmness level it provides.